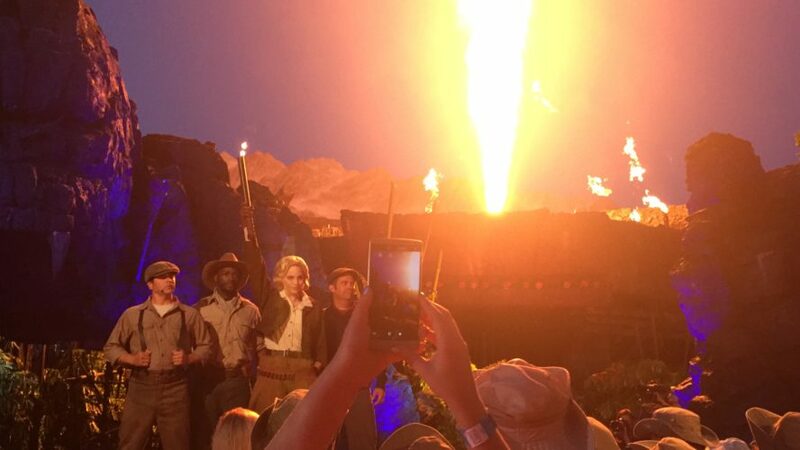 After months of anticipation and weeks of “technical rehearsal” previews, Skull Island: Reign of Kong is now officially open at Universal Orlando. Universal Orlando has unleashed details about the Skull Island creatures you’ll encounter in their new Reign of Kong ride. King Kong may be the star of the anticipated new attraction coming to Islands of Adventure this summer, but today Universal Orlando unleashed details on some of the Skull Island creatures guests will confront during the Reign of Kong ride. Arachno-claw: These carnivorous arachnids move throughout the swampy underworld of the island’s dark caverns, foraging for dead or injured creatures. The six-legged scavenger uses its crab-like claws to crush its prey before feasting on the remains. Carnictis: The giant, slug-like Carnictis lacks eyes or facial features. But its gaping, oozing mouth—ringed with sharp, jagged teeth—is a distinguishing feature that allows this slow but relentless creature to feed on dead and wounded beings that have succumbed to the wretched, murky chasms of the island. Decarnocimex: One of the largest and most aggressive cave-dwelling inhabitants on the island, the Decarnocimex will attack anything smaller or weaker that dares to cross its path. These vicious insects tear apart their prey with their razor-sharp mandibles and two-bladed forearms. Terapusmordax: These are the largest flying predators on the island, with wingspans up to 10 feet. They live in colonies within the island’s interior caverns and are easily provoked. Spearing victims with lethal talons, they use large carnivorous fangs to penetrate anything—or anyone—caught in their jaws of death. 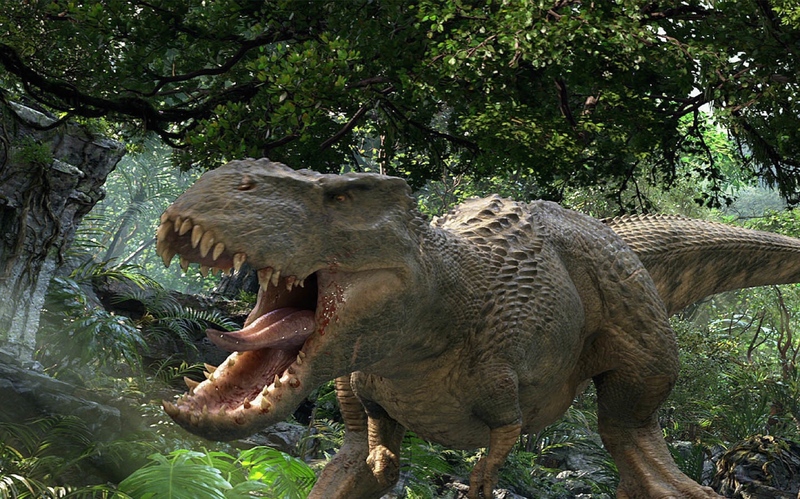 Vastatosaurus rex: The V. Rex is the largest, most intimidating dinosaur that roams the island’s dense jungles. Despite its large, bulky head and tough leathery skin, it’s an agile predator, changing direction at high speeds and ripping into its prey with razor-sharp teeth. 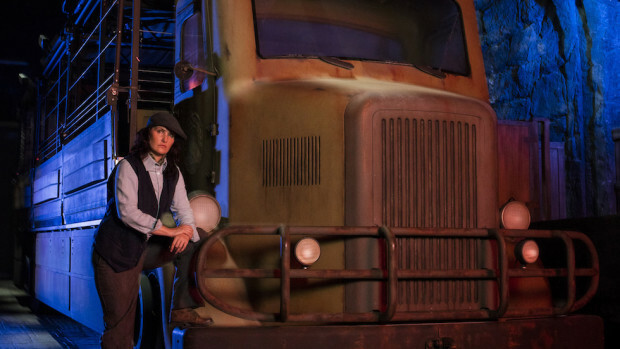 Details about Reign of Kong’s opening date have not yet been revealed, but you can get more hints about the attraction by watching Face Off on SyFy, which will dedicate its March 30th episode to Skull Island.